It’s about the story - Nothing more, nothing less! We are sure that you have a great story and you want to tell it. But telling a story today is not just a film, photo or text. It’s about the context. Where do you tell it? How do you tell it? And is the people you wanna tell you story to interested in it - in the way you wanna tell it? Our mission is to help you tell your stories in the right context, with the right form and to the right people so you get succes. It’s not about what you make, but what story you have ! A good story doesn't emerge by itself. It takes hard work for it to stand out and reach the right recipient. 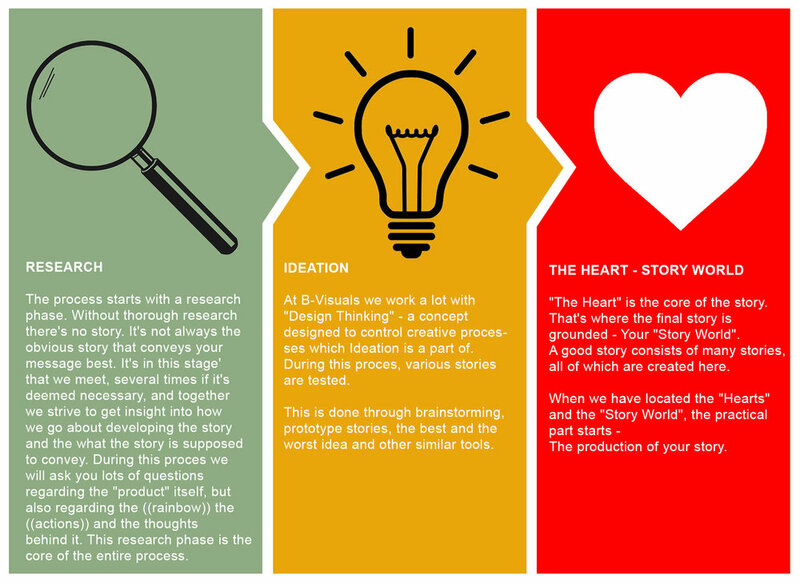 To tell a story requires doing the work and the research. At B-Visuals we believe that it's possible to create the good story, even if the subject is completely new to us. We work with proven techniques that allow your story to develop and to make a difference.